With 2 months under its belt already, those who took the plunge with a Windows Phone 7 device can now find a centralized area regarding potential updates for the platform. Today, Microsoft’s update page for Windows Phone 7 is now live and mentions what we can expect with the first major update for the platform. From the looks of it all, we can expect to find things like copy & paste, improved Windows Marketplace search, and faster start up times for apps. However, nothing on the page mentions an exact date on when we'll see the new update – but we do find the words coming “in the next few months” on there. Regardless of the vague time line, Windows Phone 7 handset owners can check out the site whenever to check up on the status of potential updates – not to mention any new features as well. When is the CDMA support? You guys cant read. It was from M$ via PhoneScoop. 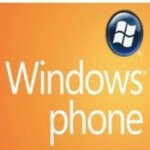 So why am I keeping my Windows 7 phone? I talked to a friend with at&t they hand a windows phones employee come in and say the better updates aint coming out till late march due to there coming out with a tab. My samsung has no flash player or updates promised Im about to go back to my android phone with 2.2 software.